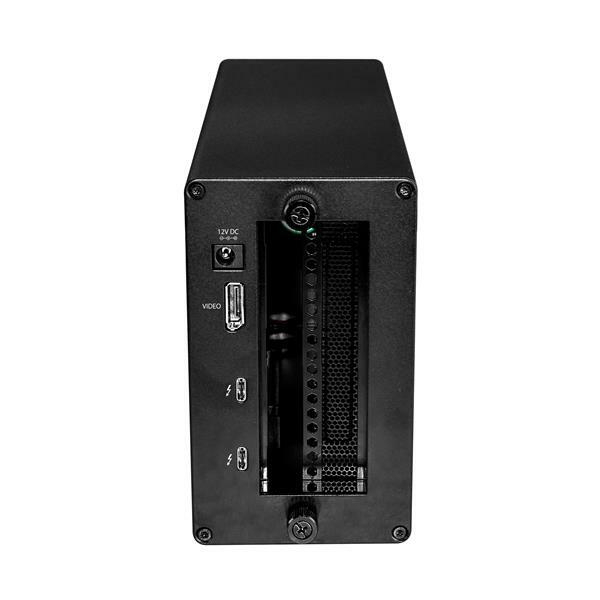 This Thunderbolt™3 PCIe expansion chassis lets you add a PCI Express card to your laptop or desktop computer, through an external Thunderbolt 3 connection. The chassis also features a DisplayPort video output, so you can connect an additional monitor to your laptop, and supports Thunderbolt 3 daisy chaining, so you can expand your workstation even further. 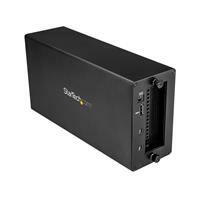 The external PCIe enclosure features a dedicated DisplayPort output that lets you add an additional display to your laptop or desktop computer. 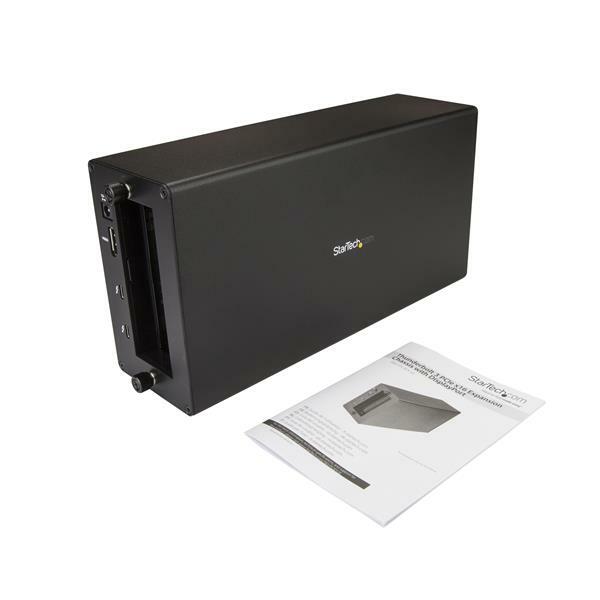 The enclosure features a second Thunderbolt 3 (USB-C) port, that you can use to connect a secondary display (a USB-C video adapter may be required). With multiple extended displays, you can work more efficiently by multitasking faster, and avoid the hassle of continually repositioning several open windows or programs. 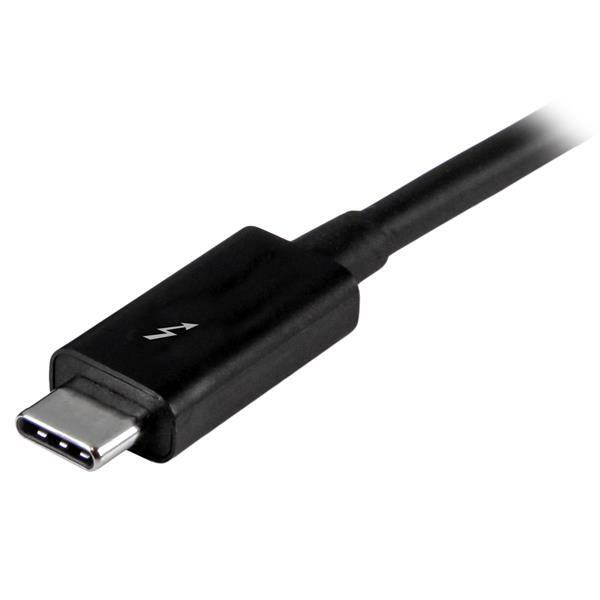 You can also use the second Thunderbolt 3 port to connect additional Thunderbolt, USB and DisplayPort devices to your system. You can daisy chain up to six Thunderbolt 3 devices and expand your workstation to suit your specific requirements. Thunderbolt 3 is the fastest connection available, which means you don’t have to deal with the performance bottlenecks of a slower connection, and can accomplish more in the same amount of time. 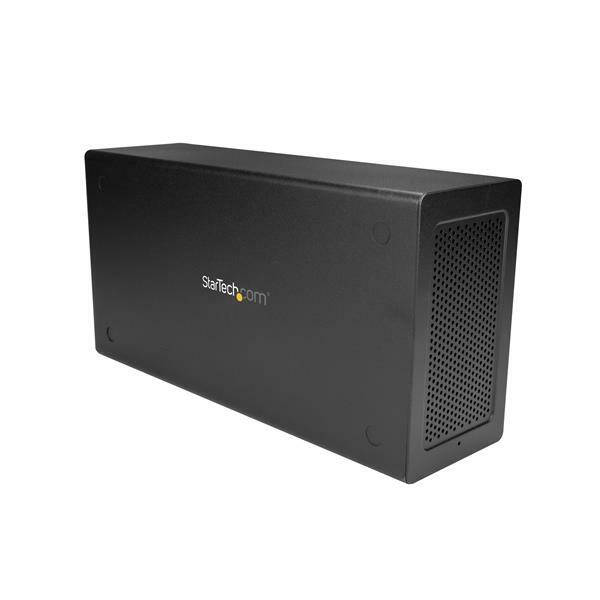 At up to 40Gbps this Thunderbolt 3 expansion chassis gives you the throughput to add displays to your laptop, access files quickly, and work without disruptions. It’s easy to access and edit large uncompressed files such as videos and images on the fly, making it ideal for dynamic on-site production. The TB31PCIEX16 is backed by a StarTech.com 2-year warranty and free lifetime technical support.